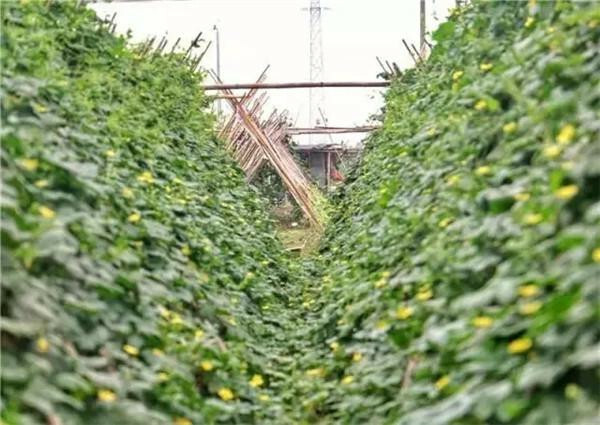 "Dading bitter melon” is one of the featured vegetable varieties in Guangdong. Tanbian Village, Shishan, Nanhai is famous for producing Dading bitter melons with a planting history of more than 60 years. 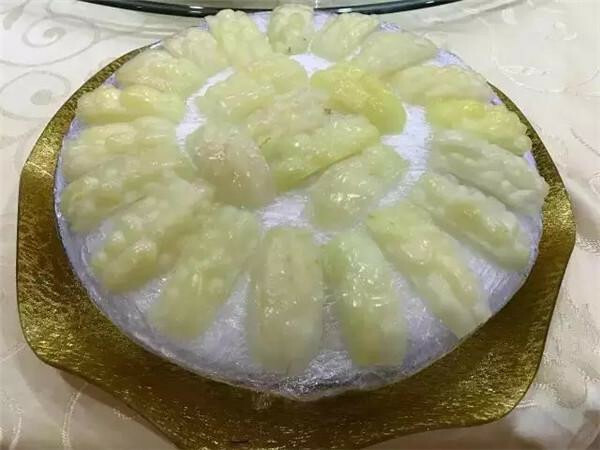 Due to its crisp and fresh flavor, Dading bitter melon is attracting more and more people from Guangzhou and Foshan and even foreigners to taste. The first batch of ripen bitter melons are planted in January. 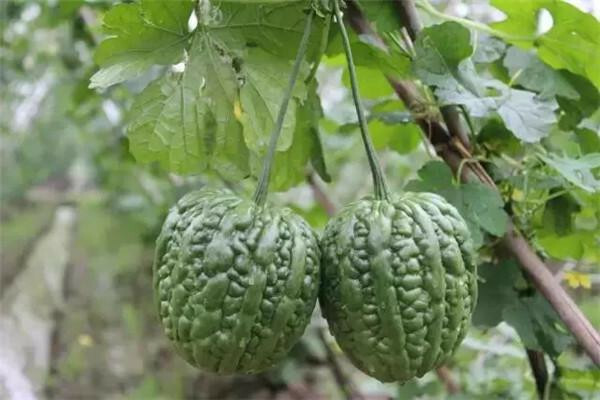 The first batch of Dading bitter melon is estimated to come to market in May while the second batch of bitter melons will be ripe in early May in bigger size. The authentic Dading bitter melon has rich pulp, a large head and a short body. It is similar to an enlarged green pepper, which has a shape of the hammer of thunder god. 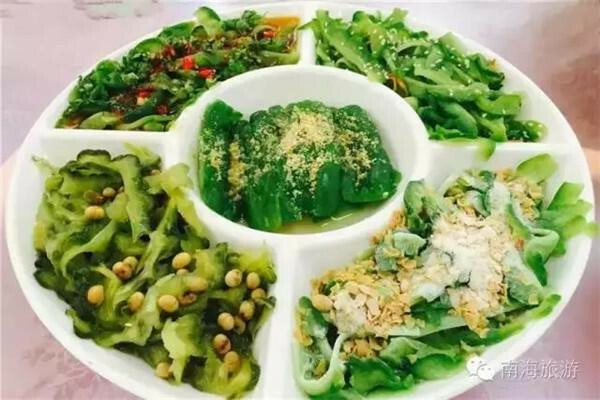 With a green coat, crispy taste and cool flavor, the content of sugar and Vitamin D is 10% higher than regular bitter melon. It also has a great effect in reducing internal heat. The best time to taste Dading bitter melon is from May to October. 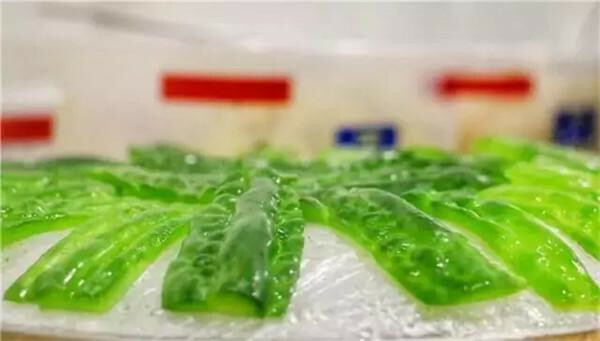 Each piece of bitter melon is as thick as 0.5cm and is crystal clear under light. The cool and crispy flavor is very tempting. The bitter melon sashimi is a signature dish made of 8 ingredients including peanuts, Chinese bulbous onions and taro slices, bringing out the sweetness of bitter melons and the crispness of taro slices and peanuts. The white Dading bitter melon is a variety introduced from Taiwan. 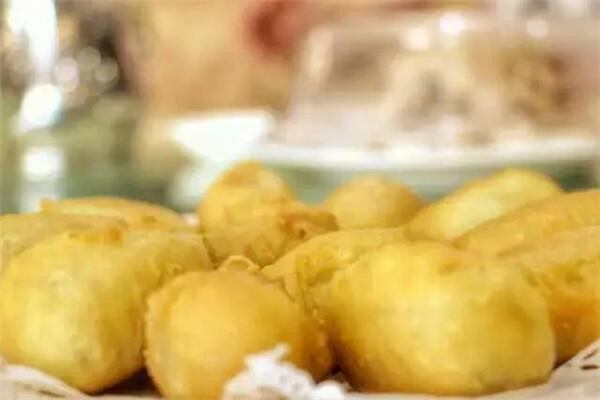 After two years’ improvement, it firstly realizes mass production this year and is provided to diners. Dressed in a white coat, the newly cultivated variety of bitter melon will turn into varying degrees of yellow under different extent of maturity. The sugar content is as high as 10%. Among the five flavors, the sweet flavor is the most special. Sweet oats combine with cool Dading bitter melon, creating a new stimulus of taste! 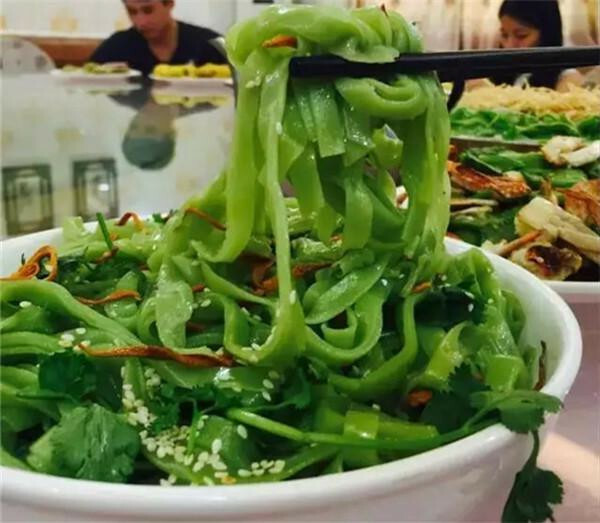 Secret sauce, cordyceps flowers, sesames and rice noodles dyed by bitter melon leaves are combined to make this cool and delicious dish. It also symbolizes prosperity and wealth as its Chinese name “捞起” means having a smooth life. 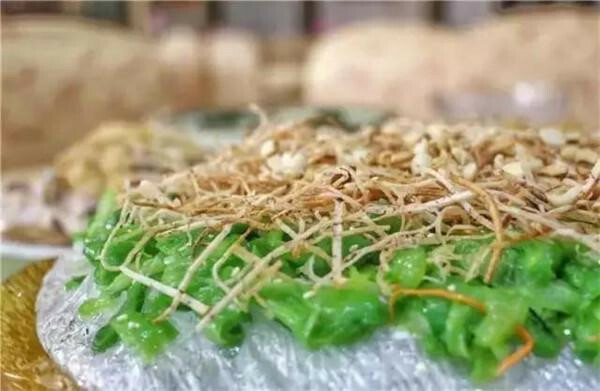 Soft bitter melon is wrapped by a crispy fried layer. What a surprising match! 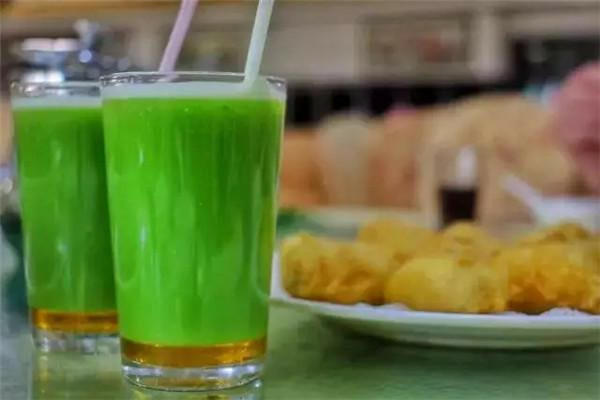 After enjoying the meal, drink a cup of healthy bitter melon juice. Honey can be added into it. 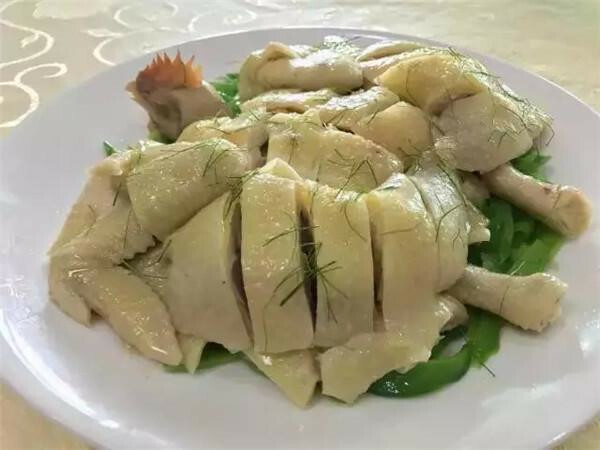 The meat is tender and smooth with a cool and refreshing taste.